Do you have a swap meet near you? 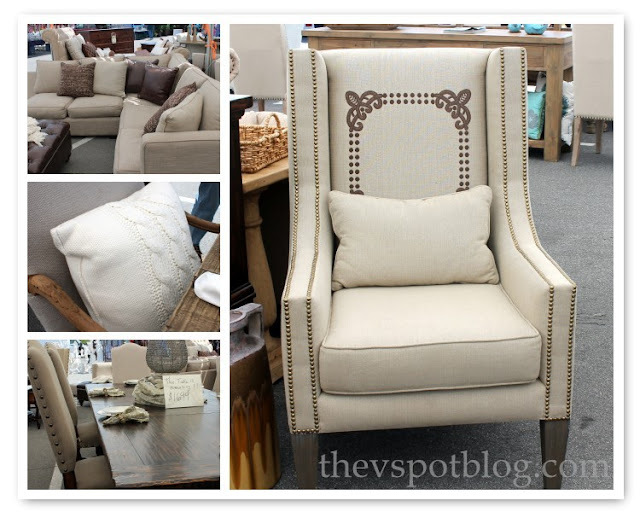 The Orange County Swap Meet is near us and we forget how much fun it is to go there, so a few weeks ago that’s how we decided to spend a Saturday morning. Are you in the market for a backyard water feature? 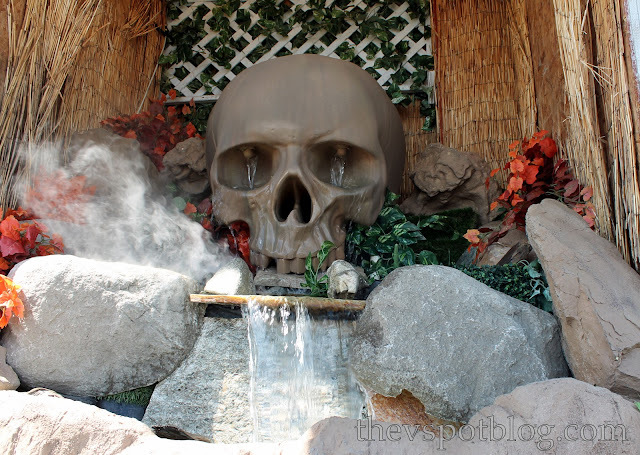 How about a skull waterfall (with optional steam)? But there are pretty cool things too. Like furniture. It’s just kind of cool to check things out. This is usually where I buy the sweet onions for my homemade onion rings. Each of these pieces was only $5. I got this fun owl necklace… cuz it was silly and only $5. And even with all of the shopping and food and great deals to be had, my very favorite thing is People Watching. Beauty products, hats, food, clothes, bags, toys, art, flowers… I love that there is so much to see and so much of it is an awesome deal. 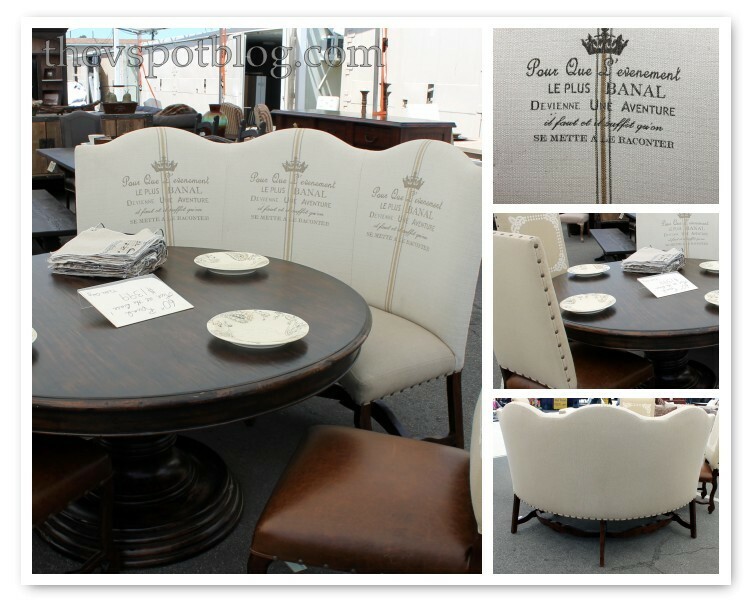 Do you have a swap meet near you? Thanks for taking me along. Great pics. 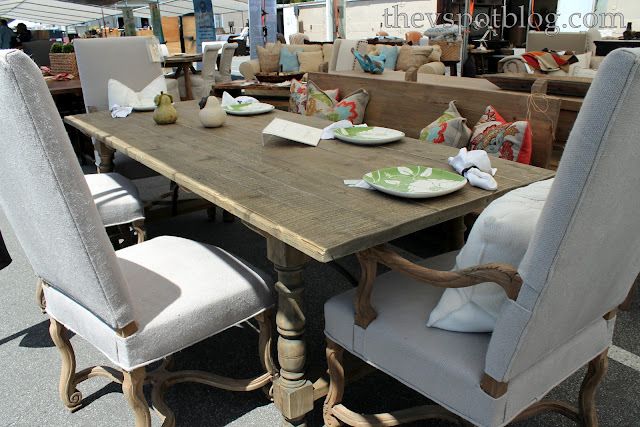 Love the bench and the table. What a great little trip. Thanks for the peek at the swap, it’s been a few years. Are they still selling cars out there too? And cutting hair? 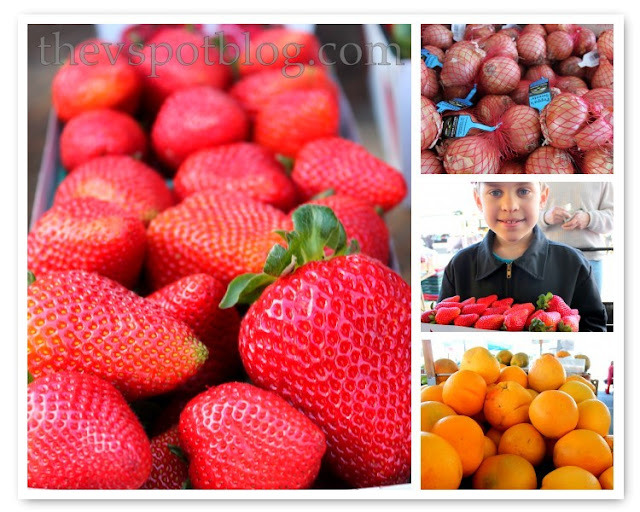 I used to love going to that swap meet!! I keep telling the people here in North Carolina they have no idea what a REAL swap meet is about!! They call them flea markets here and it is mostly junk and very small!! Thanks for bringing back memories! Haven’t been to the OC Swap in years, even though it’s less than 20 minutes away. And, now I’m not sure I want to go, either, LOL. Thanks for sharing your trip! We love the Costa Mesa swapmeet!! I love going there first thing in the morning, then heading out to Balboa and enjoying the beach. And those churros are the BEST ever! Back in the day we went every weekend to the Saugus/Newhall swap meet. Still have a couple things from there as a matter of fact. 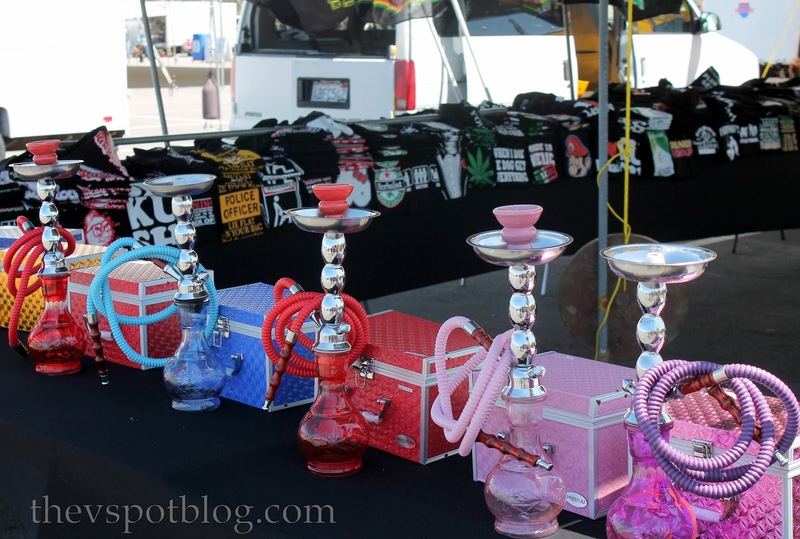 But what the helll, are those things new fangled bongs???? No swapmeets around here! I bet PDX and Eugene has some doozies…man…I love those hookah CASES. Looks like tons of fun! I’m drooling over the shoes! I also have the most patient husband in the world, and incidentally – he would totally wear an outfit like that! I think we have one around here, although I’m sure not so big. I’ll have to check! How fun! I wish we had them around here. One of my favorite things in Hawaii was the swap meet… crazy crap there for sure!